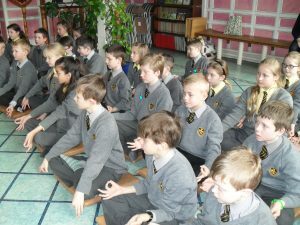 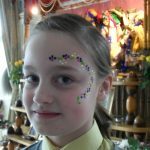 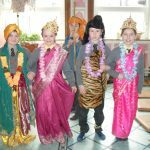 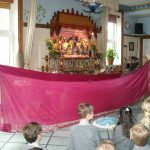 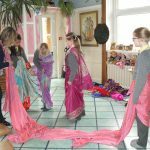 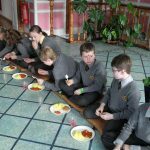 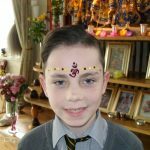 As part of their learning about the Hindu religion, Year 5 spent this morning at the ISKCON Hindu Temple on Westgate Road. 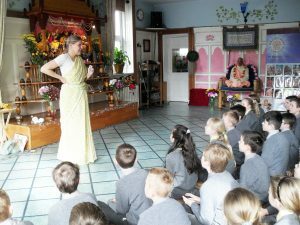 The visit was led by Kirtida, a Hindu Priestess, who made us feel very welcome. 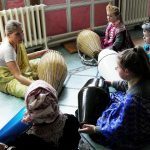 She gave the children a whole new set of experiences that will stay with them for a long time. 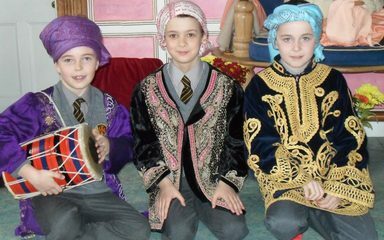 ‘Peaceful’, ‘colourful’ and ‘interesting’ was how they described their visit. 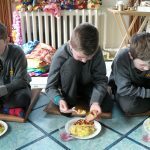 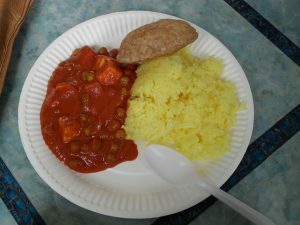 At lunchtime we sat together to eat a delicious Indian meal of rice, puri and a tomato based sauce with peas and paneer.